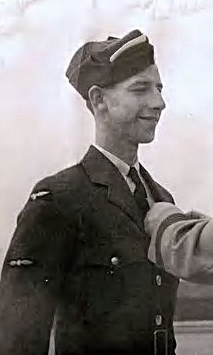 P/O Schlievert along with the Flight Commander of "A" Flight, S/L McGuffin and crew were on another mission to Essen, a target well known to 419 squadron. It was the first attack by Bomber Command in over six months to this area which was heavily involved in war industries including the Krupps Armaments factories. Past attacks on the area had been thought to have eleiminated any of it's facilities to produce war materials. 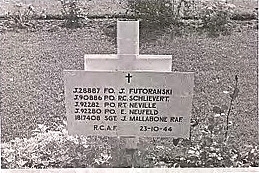 The area had been rebuilt by the Nazi war machine and had so once again became a target of the 419 squadron's aircraft. Twenty Lancasters of 419 Lancasters joined the other 1,035 heavy bombers on this operation. 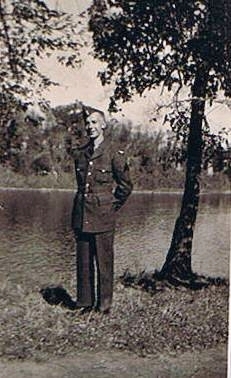 P/O Schlievert and his crew mates were the only ones not to return. The cause of their loss is not fully known. The defences were not as strong as expected but flak and icing conditions did hamper the effort. Luftwaffe records for the night show no bombers downed by their night fighters. The duties of a Flight Commander quite often brought his crew into more danger then most. Some times to gain proper intelligence on the raid's effectiveness they would make additional passes over the target. Exposing themselves to the guns and other defences of the target. 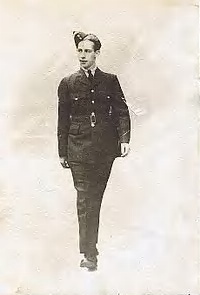 So somewhere in that lonely black night twenty three year old Roy Schlievert and his other brave comrades were lost.